The following tutorial will assist when you wish to tick off deposits. Please bare in mind that this is an option for users in Hirum Version 3.18 and beyond. 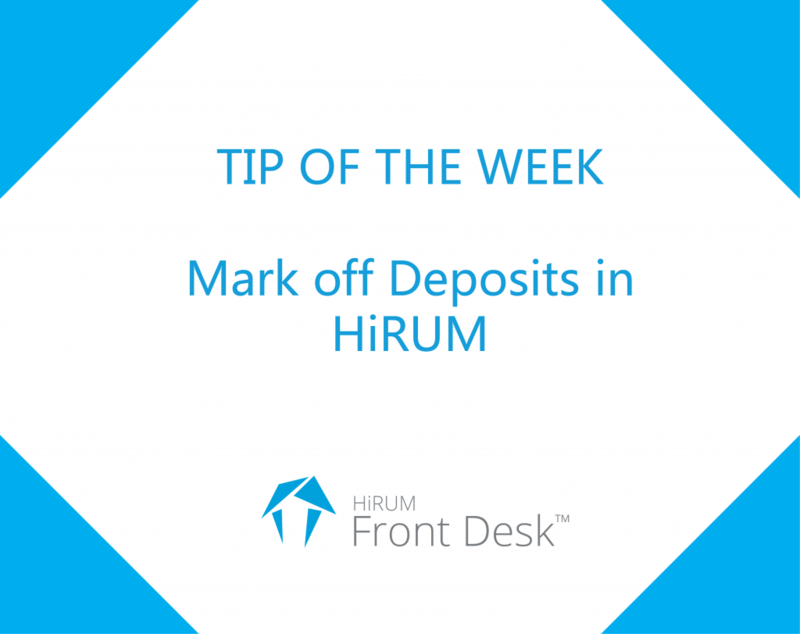 This is another brilliant tool in HiRUM that will assist you to monitor your bank statement throughout the month and reconcile any deposits as they occur. This, in turn, will see your End of Month running smoother and with less stress. Click on to your Banking icon, locate the day that the transaction appeared on your bank statement on and then click on to the Breakdown icon. You will now see all of the receipts that make up that particular day’s banking. Any transfer receipts will automatically be ticked as presented at the bank. To mark off your receipts against deposits sighted, use a single click on to the Red Cross. If all of the amounts have appeared in the bank then click on to the Mark All button. If you want to filter what method of payment appears then click onto the white squares besides the different methods of payment as so. After you have marked off your deposits, simply click on to the Okay button.